Для использования нужна постройка Разрушитель Пустоты. Без неё порталы не появятся! Не знаю, есть ли разница стоимости в зависимости от репутации, но так реагент стоит 250 осколков пустоты. При активации портала, выходит демон с 40+кк хп. После убийства с него падают припасы армии погибели легиона, и всякие итемы на вызов и усиление порталов церберакса. В первый день патча 7.2 эта вещь стоила всего 50 осколков, но сейчас цена составляет 250 осколков, причем Близы повысили цену скрытно, не упоминая в патчноутах. Фармила мобов 2 дня и опытным путем узнала, что есть кап. Вначале было предположение, что это кап на выбиваемые припасы, но скорее всего, это кап на количество убитых боссов. Судя по английским комментариям, 50. По достижению капа, порталы ты открывать не можешь, а если откроет кто-то другой, то с босса ничего не упадет. На следующий день можно убивать опять. Наибольшую сложность представляют архидемон и бес. Архидемон часто кастует ужас, который ввергает в панику на несколько секунд. Если не прерывать, убить в перерывах довольно сложно. Бес сам по себе легкий, но у него есть неприятные спутники, которые довольно часто отагриваются, если быстро не убить. Бывало и такое, что приходилось убивать босса и убегать от его помощников. Вообще, для фарма порталов есть 2 неплохих способа. Во-первых, собрать пати из 5 человек, рассредоточиться и искать порталы, а потом собираться и открывать. Во-вторых можно просто прыгать по серверам, вступая в различные группы. Второй способ подходит для одиночек или пати из пары человек, которые уверены в своей способности быстро убить любого босса. Итак, саммари с английских камментов. Чтобы открыть портал нужен Разрушитель врат Пустоты, который можно купить у Боевой маг Кат'лин за 250 Осколок Пустоты. Айтем сам по себе не персональный, можно купить-продать на ауке. С демона падает 10-20 Припасы Армии погибели Легиона и один маяк Церберакса синего качества, еще иногда синий токен на шмотку. Лимит на убийство демонов - 50 в день. На миникарте порталы отображаются кружочком фиолетового цвета (как демонхантер:) Респ порталов 15-20 минут, одновременно активны максимум 9 штук. These items can be used on Нестабильный портал Пустоты located around the broken shore, no, not the one under The Sentinax. Nether disruptor building needs to be active for the portals to spawn. I have used a few of these to see what loot they award. It summoned an Unstable Abyssal with around 26 million health. So far they seem to drop beacons (both basic and greater), dauntless items and 2-4 legionfall supplies. This is all i've seen so far. While my felguard dealt with the abyssal no problem the Imps were killing it in seconds. I just opened one unstable nether portal with this item. A demon with 44 million appeared, fairly easily soloable as an 894 fire mage and I am not sure if I was extremely unlucky but all I got from the boss was 2 Legionfall supplies, 2 uncommon and 1 rare sentinax beacons. Not entirely sure if it is worth the 250 shards you pay to buy the Nether disruptor. You might say that it kinda gave me back the shard cost with the rare beacon drop but yet again what is the point to give 250 shards just to get it back roughly by defeating a mini boss that doesn't even give reputation. Unless there are occasions which it can drop you a large amount of supplies I see no usefulness in opening the portals. As of right now they cost 250 Осколок Пустоты (up from 50). The type of beacons depends on the kind of demon you summon, a Doomguard will give you Маяк великой резни "Церберакса", a Felhound will give you Маяк великого боевого зверя "Церберакса". You can only kill 50 elites per day. You can buy/sell them on the auction house. The respawn rate seems to be between 15 and 20 minutes. There is a maximum of 9 active portals at the same time. Tip: You can track your daily kills by counting the number of blue(rare) quality beacons in your inventory. 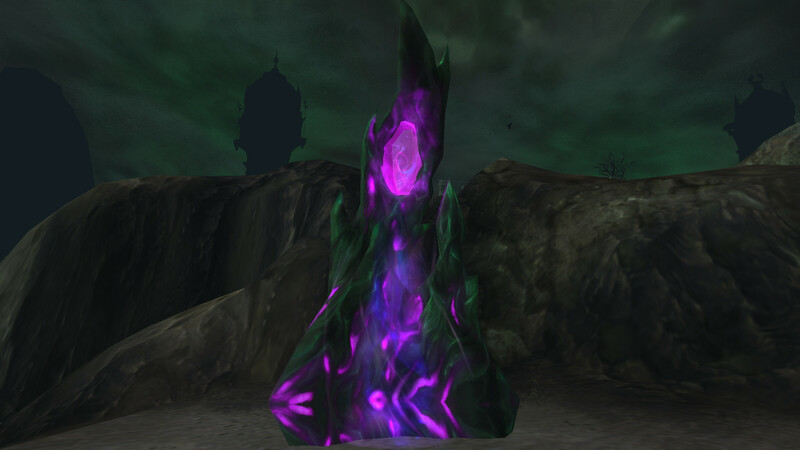 "Rewards from the enemies summoned by Nether Portal Disruptors have been changed: These enemies should now drop significantly more Legionfall War Supplies and Dauntless tokens, but no longer drop Netherchunks or Tier 1 Sentinax beacons." They're faction taged, so you dont need to be in the party if the person opening it are from the same faction! It will however be greyed out if opened by someone of the opposite faction. ...Geting downvoted beacuse I give info that another post gives, that was posted after I wrote this, yay. So I summoned a big flame guy with wings, and all he did was spam fear back to back, sometimes even before the effect wore off. I managed to interrupt him once only to get 1 second of relief until he went back to spamming fear again. Since all other mobs summoned by these portals can be soloed, I assume that this behavior is unintended. So with the Nether Disruptor up in on my server I decided to do a little sleuthing on the Portals and here's what I've gathered so far. One major thing I noticed is that the portal is Faction tagged not the boss. Be quick! If your faction didn't click the portal you will immediately know as the spawned boss's nameplate will be greyed out. The portals are incredibly easy to solo at 890+ the bosses that spawn are similar to mini-world bosses but don't require much beyond just smacking them in the face, though the Abyssal's do have a smash ability that will stun you, I recommend interrupting/stunning them and then running behind them before the interrupt has worn off, the original smash will land where you were before. Speaking of bosses I encountered 3 types; an Abyssal, Shivarra and Voidwalker of which I encountered 2 of each with no pattern, it's completely random what you get. When the Nether Disruptor is up always always carry around a handful of Nether Portal Disruptor's. They're super cheap at 250 Nethershard's from Warmage Kath'leen. The bosses only take 1-3 minutes to kill and they are well worth it if you're farming the supplies. Edit: I went back and hit a portal that had respawned. Instead of the usual bosses I got a Lambent Felhunter. The loot was no different but was easy to kill like the others. /way 69.00 27.30 and /way 63.14 26.34 for these two I recommend going to the one on top of the cliff, as the second is on the left side just below. AN: I am not saying they will be there just that these are the spots I found them. YO DAWG, WE HEARD YOU LIKE NETHERSHARDS AND PORTALS . . .
5. solable, but... see #3; and ive had one vanish on me for no reason, so if youre alone dont be afraid to take it, dont leave the area. 6. the boss you get is seemingly random, and for me, has been from 40M to 60M life; and some hit harder then others. but all solable. 7. given the life and gear changes ive had, i dont know if there is some boss ilvl scaling happening, but i wouldnt doubt there was. Hotfixed for April 17th. Yields more Припасы Армии погибели Легиона and Dauntless Tokens. No longer yields Частица Пустоты or Tier 1 Sentinax Beacons. Might be a bug or intentional. 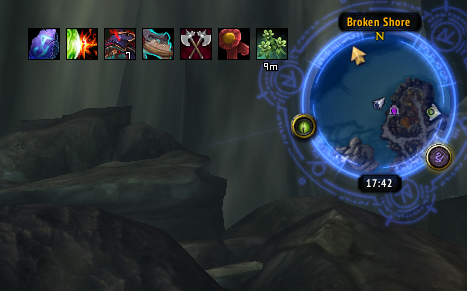 After doing these all day, I can't click on the portal and use my key or loot rares killed by the group. Tried reloging and reloading wow. Could be a daily limit? I did not see this mentioned anywhere here, but IF you are not on a higher level toon (i.e. 880+ range)... these bosses will despawn if your dps is too low. I was soloing on my Vengeance DH, which just dinged 110 yesterday (ilvl ~850 but his weapon is much, much lower). I was soloing just fine, and looked like I was about to down him... when he despawned. Gone. So, I am assuming there is some sort of timer on these. Since I am sure my dps was pretty low, I just did not get him down fast enough. Yet, another thing to find out the hard way in this game. Hopefully, this note saves people from wasting shards. If your dps is low, just make sure you are in a group. Keep in mind that reseting UI / relogging will wipe the current progress. She no longer sales this. The item has been removed from the game a the time of this post. As an i930 Paladin just trying to complete "Breaching the Tomb", I found the rewards to be...insignificant. Surprised there isn't an achievement involved with disrupting these things. Maybe killing one of each type of spawned boss? I can't find anything. So, if you are high enough, there really is no point in doing these portals. As of today this item is not showing in the vendor list, I'm not quite sure it is bugged or removed by Blizz. "Разрушает нестабильный портал Пустоты, призывая могучего противника, для победы над которым потребуются совместные усилия нескольких гер"